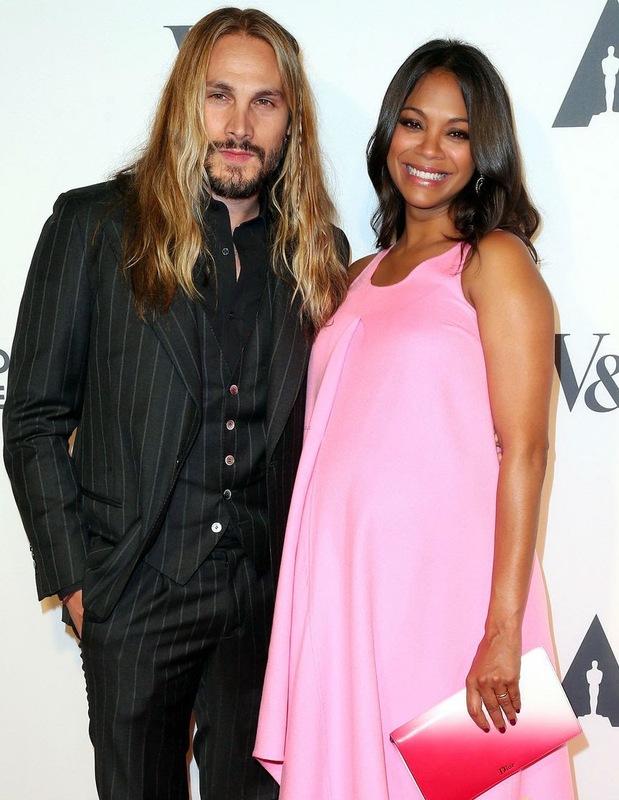 Home You Pregnancy n Kids Bump Watch: Zoe Saldana Is Expecting TWINS! Bump Watch: Zoe Saldana Is Expecting TWINS! Wow!!! Zoe Saldana recently confirmed to E! News that she’s pregnant with twins. Zoe Saldana has finally made it official—she confirmed earlier tonight that she’s having twins. No, the gorgeous mom-to-be, 36, and her equally-as-hot artist husband Marco Perego, 36, didn’t make a big announcement. Instead, Saldana did it in the cutest way ever when we talked about her Halloween plans at the opening of the Academy of Motion Picture Arts and Sciences’ Hollywood Costume exhibit in L.A.
Geez, I can’t wait to see these kids during their toddler years. They’re gonna be next level cute. I almost think they might rival my own youngins, but we’ll have to wait and see. Congrats to Zoe and Marco! double double!! !